My first job out of college was working at Barnes & Noble for $8.25 an hour, which meant I took home about $1,000 per month. It was a pretty precarious financial position considering that my rent cost $500 per month and I owed $200 per month to my student loans. After about eight months of working retail, I landed an office job that paid me $10,000 more per year. When I received my first paycheck from the new job, I was sorely tempted to cash the whole thing and make it rain for an entire weekend to make up for the frugality I'd been forced to live under while I was selling books. I made grand plans to decorate my apartment and buy new clothes — and I couldn't wait to stop double checking the cost of everything all the time. We all have a tendency to spend right up to our income ceiling, no matter how much money we make. 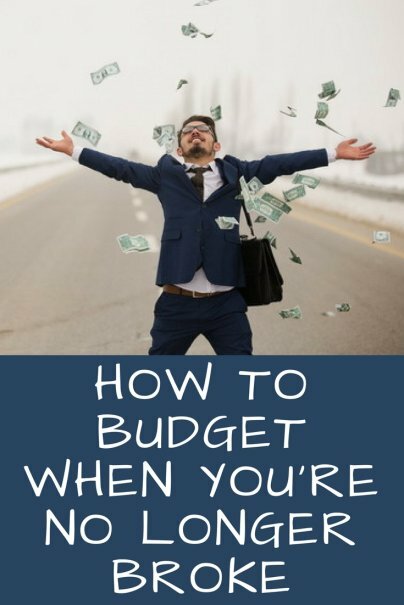 When you have a major income increase, it's very easy to go nuts with all the things you have been denying yourself on your more restrictive budget. But this kind of spending will keep you unprepared for a financial problem down the line, and you will also simply get accustomed to your new standard of living because of a cognitive bias known as hedonic adaptation. It's very difficult to avoid lifestyle creep when you are excited to upgrade from ramen dinners and cement-and-plywood furniture. There are a couple of things you can do to keep your larger paychecks from being frittered away with lifestyle creep. You should get to enjoy the fruits of your labors, and no one can keep living on a restrictive budget forever. So start by increasing your monthly fun money budget by a portion of your increased income. For instance, if you're going to be seeing $1,000 more per month, let $50–$100 of it become money in your pocket. Enjoying a portion of your extra money in an intentional way will make it much easier for you to avoid unintentional lifestyle creep. Whether you had a strict budget that you followed religiously while you were broke, or you simply tried to keep from spending any money at all, a major change in your income level is an excellent time to look back over your budget. Specifically, it's a good time to figure out what budget categories were underfunded while you were making less money — and if there were any categories where you can trim some fat. After making do with a leaking bean bag chair instead of a real sofa, it's natural to want to go out and replace everything from your broke days as soon as the money starts coming in. But even though you now have more money, your funds are not unlimited, and you'll be able to make better and more intentional replacements if you make changes gradually rather than all at once. So take the time to figure out what you would most like to replace or change first so that you can make such gradual changes. For instance, rather than buying all new furniture, you might instead just upgrade your mattress, since having an old and worn out mattress could be affecting your sleep. As you build up your savings, you can slowly replace other pieces of furniture as needed. Set up automatic transfers to start as soon as your new paychecks do, so that the extra money is working for you as of day one instead of burning a hole in your checking account. These can be especially helpful for combating lifestyle creep when you get a raise or higher-paying job. A higher income can slip through your fingers if you are not paying attention to your spending, which is why it is so important to adjust your budget after you get a major pay raise or higher-paying job. Take the time to responsibly enjoy your new wealth, but also be sure to make rational and deliberate decisions about where your money can do the most good in your life.